We check over 450 stores daily and we last saw this product for $180 at MATCHESFASHION.COM. 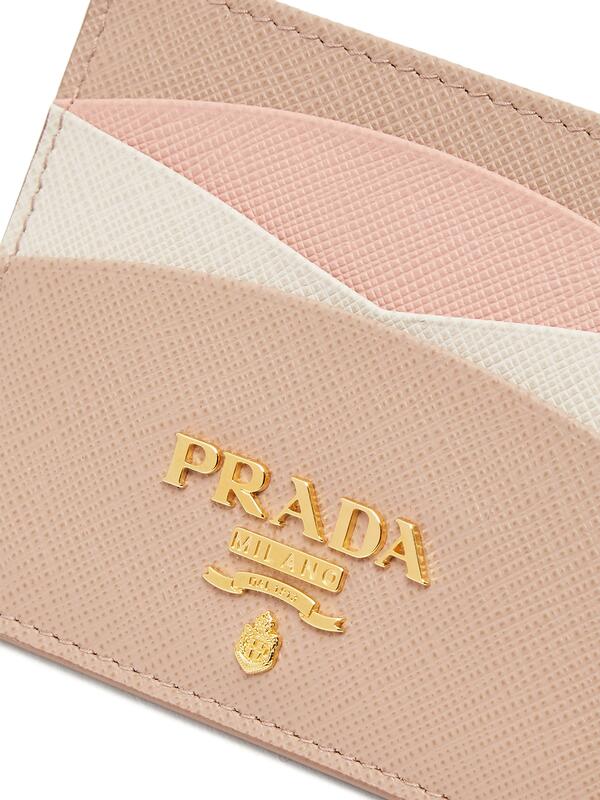 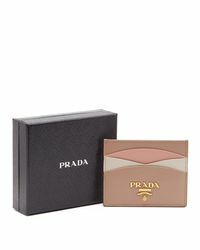 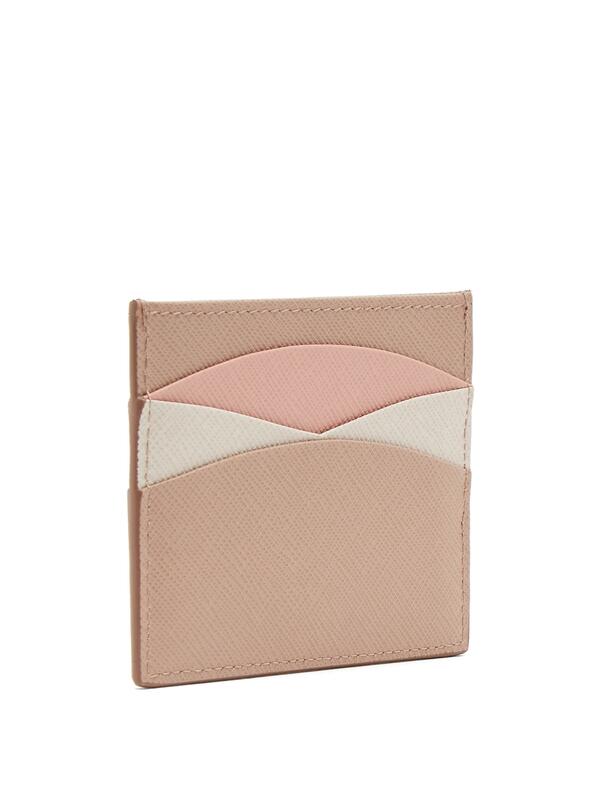 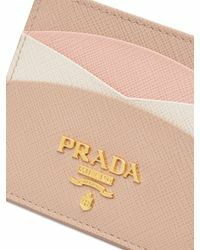 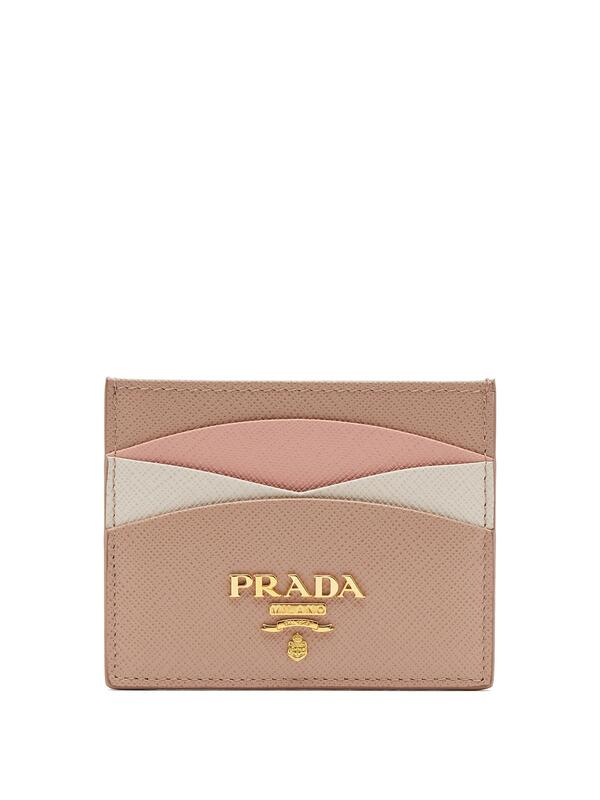 With an inventive pink and white scalloped design on either side and one main compartment, this beige Prada cardholder is a functional and succinct way to channel the house's aesthetic. 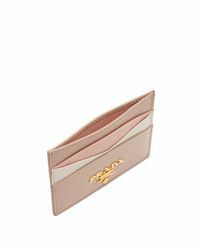 It's made from grained saffiano leather with three card slots on either side and finished with a gold-tone metal logo plaque.